COPD, or chronic obstructive pulmonary disease, is a progressive disease that makes it hard to breathe. “Progressive” means the disease gets worse over time. 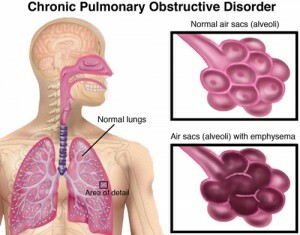 How can Stem Cells Help Chronic Obstructive Pulmonary Disorder (COPD)? Which Kinds of cells are used in Chronic Obstructive Pulmonary Disorder and how are they obtained? How are Mesenchymal Stem Cells (MSC) administered in Chronic Obstructive Pulmonary Disorder (COPD)?